Frankly speaking, the sirloin now a days, sold at the local butcher in Tokyo costs as much as JPY 10,000+ for 100grams so you eat (1) pound of beef, or 450 grams and it would cost as much as $500+. This isn’t insane when the cow has perfect marbled meat but it is insane when the cows fat concentration is imperfect due to very hot weather. There is no price adjustment for weather and you even pay more due to the scarcity of prime meats. 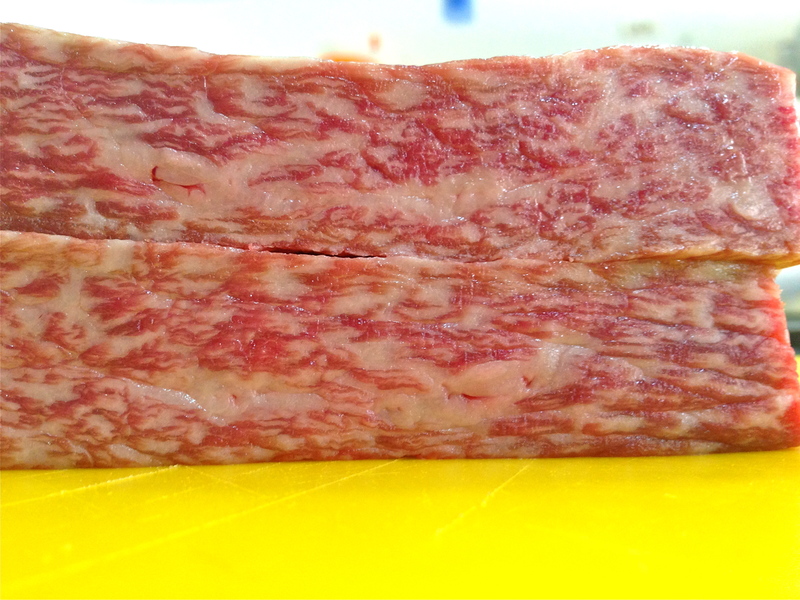 The meat above is hind top, (JPY 1.500/100gr) a meat that requires some slow cooking to soften the textured fat. This meat is purchased in Isetan at “Nissin” a meat shop in the corner of the shop ans the beef is raised in Mie prefecture.